Are you looking for some hearty, tasty, comfort food? 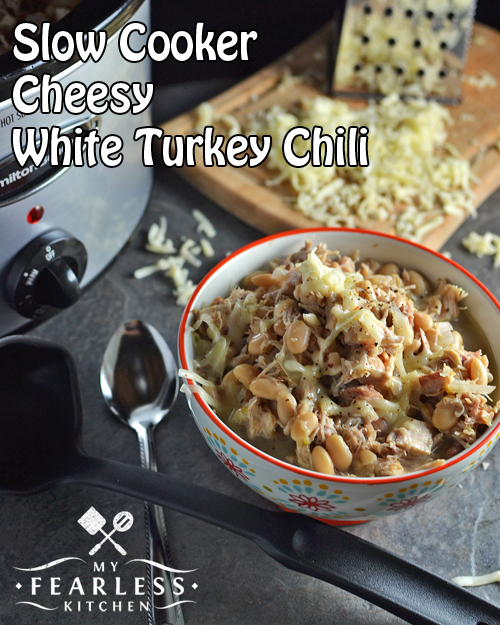 This Slow Cooker Cheesy White Turkey Chili cooks all day while you relax and enjoy your day! You just spent all day slaving over a stove to cook a giant turkey with all the sides. And now you don’t want to cook for days. Yeah, me either. So toss some leftover turkey in your slow cooker and let it do the work! After the chili cooks all day, turn off the heat and mix in 2 cups of shredded Monterey Jack cheese. Let the cheese melt, and serve it up. I topped it with some more cheese (because, why not?) and a sprinkle of Lawry’s Seasoned Pepper. 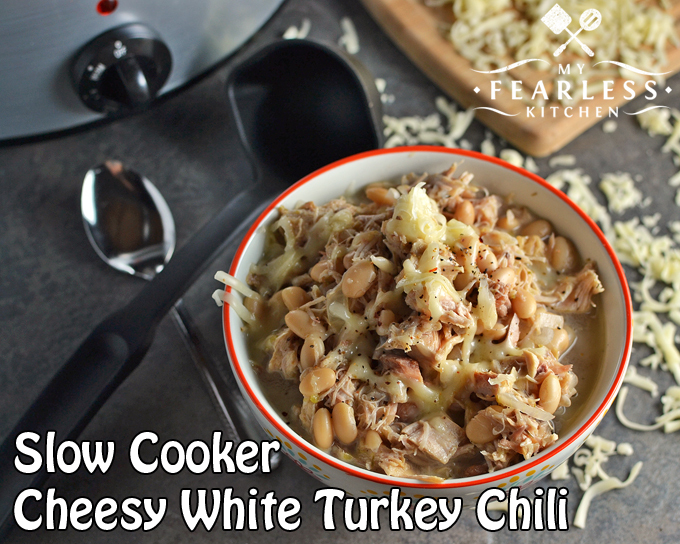 This Cheesy White Turkey Chili goes great with this Quick & Easy Corn Bread or with tortilla chips. Are you looking for even more things to do with your leftover turkey? Check out this list of 17 Recipes for Turkey Leftovers! 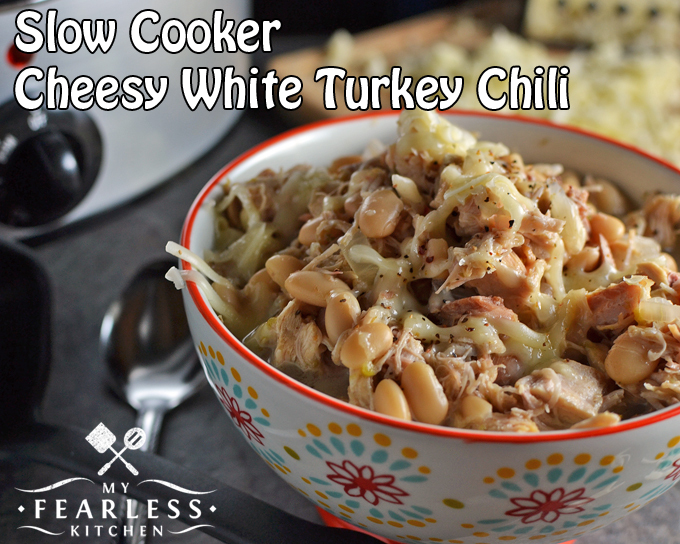 Combine turkey, beans, chilis, onion, garlic, cumin, oregano, and chicken broth in a 6 quart slow cooker. Stir gently to mix. Turn off heat and stir in 2 cups of shredded Monterey Jack cheese. Once cheese melts, serve with additional cheese or pepper. Yes, you could use ground turkey. Just brown it in a skillet before you add it to the slow cooker. You could also substitute chicken instead of turkey. Let me know how it turns out!